GLENDALE — Glendale Police issued a press release to all media outlets Friday after ABC15 contacted the department for a response that morning. 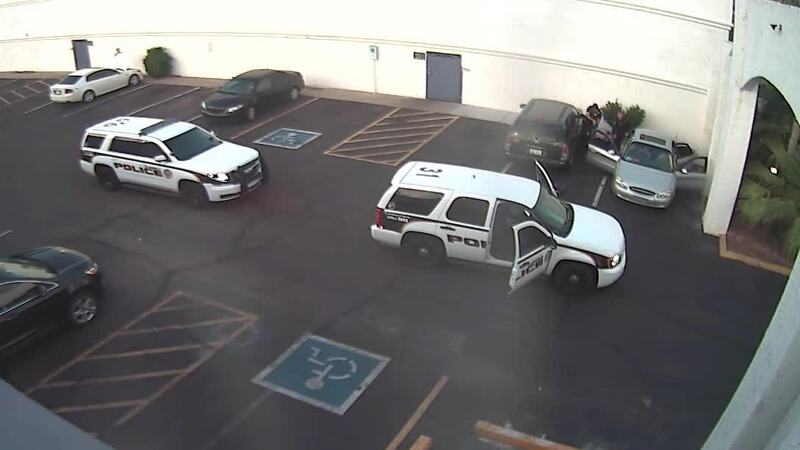 ABC15 obtained body camera footage of a 2017 incident involving the Glendale Police Department and Johnny Wheatcroft, in which Wheatcroft was tazed 11 times by officers. Experts called the conduct "sadistic" and "outrageous." The release is full of omissions and information that does not match up with the department's own records. The department also released a 30-second clip of surveillance video from the building. The release repeatedly states that Wheatcroft resisted. However, an internal affairs investigation related to the incident, shows that the department's own investigator determined, "the subject was compliant and didn't resist." It continues, "Mr. Wheatcroft was eventually able to be calmed down, and he and Anya Chapman were taken into custody without further incident." The release does not include information about Schneider pulling his shorts and tasing him in the groin area. Glendale Police also wrote that "Mr. Wheatcroft and Ms. Chapman were charged with aggravated assault due to their actions." However, the County Attorney's Office dropped all charges against Wheatcroft after reviewing the case. Take a look at the full statement below.